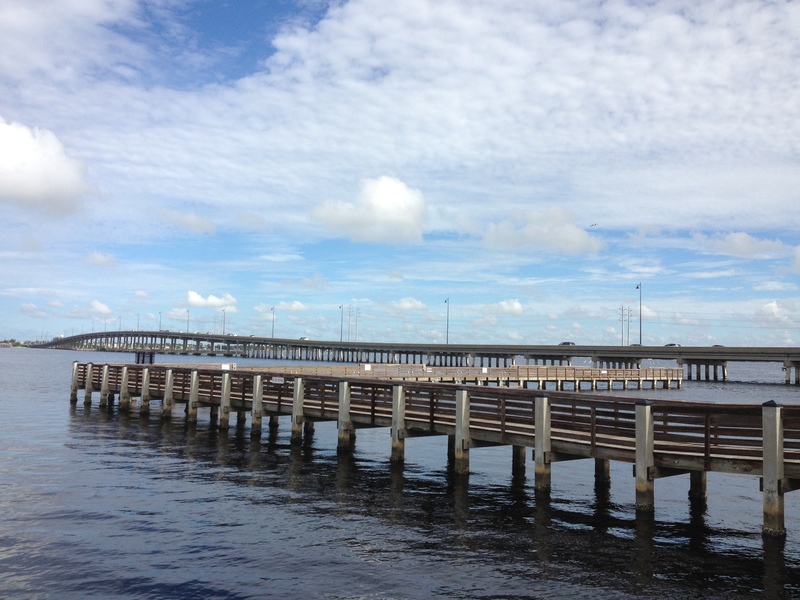 At a family reunion in Punta Gorda, Florida, I saw a highway bridge that crosses the Peace River amidst docks and piers. I loved the symmetries and intricacy of the angles. 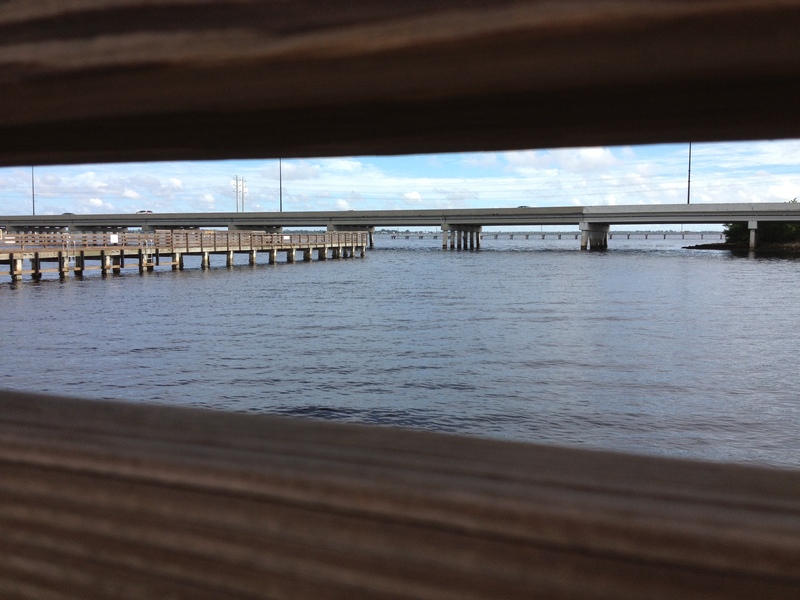 Here is a pier’s eye view of the bridge.